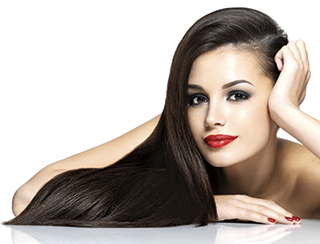 Try these tips to keep your crowning glory looking its best! We all want our hair to look lustrous and healthy, but factors such as a poor diet, overuse of heated appliances and chemically-laden styling products can leave our locks looking less than perfect. “All these factors can damage and break protein, which leads to the telltale signs of split ends and hair prone to breakage, dryness and dullness,” says Rebecca Goodyear, marketing director with Kinetic natural products distributors (www.kinetic4health.co.uk). Ditching the chemically-laden haircare products and switching to more natural versions could give your hair a much-needed boost. “The most common ingredient in haircare products to watch out for is sodium lauryl or laureth sulphate,” says Rebecca. “This chemical is a harsh detergent and known irritant to skin and eyes. It may hamper healthy hair growth and has also been shown to cause cataracts via absorption through the skin – even with no contact of the actual eyes. Propylene glycol and polyethylene glycol are two more ingredients to watch out for, both of which cause premature ageing of the skin. The latter also coats the skin and hair, suffocating the skin and stripping the hair of its natural oils and the scalp of sebum. “You can buy the most expensive shampoo in the world, but if your diet is poor then it’s likely that your hair will follow suit,” says journalist and wellness coach Rachael Phillips (www.rachphillips.com). “To get strong, healthy, shiny hair, you need to make sure that you eat a balanced, nutrient-rich diet including plenty of protein, iron, vitamin B, vitamin C, omega-3 fatty acids and zinc. If you’ve ever looked closely at the labels on your shampoo bottle then you’ll recognise the word: biotin. This is a B vitamin which is absolutely essential for hair growth and good scalp health. But before you reach for the biotin capsules, this vitamin is present in many common foods including eggs, peanuts, lentils, almonds, wild salmon, legumes and avocados. Add these to your diet and you’ll start seeing some great results. Vitamin D promotes healthy hair growth as it ensures that the follicles cycle correctly. Without the right amount of vitamin D then you may find that your hair becomes damaged and just won’t grow. Of course the best way of getting this vitamin is to have around 15 minutes of sunshine per day. But if you’re more likely to see rain than sunshine, then eating fatty fish such as salmon, trout, mackerel and tuna will not only give you a boost of heart-healthy omega-3 acids but it’ll also give you a good boost of vitamin D.
If you suffer from dandruff or maybe hair loss then it could mean that you have a zinc deficiency. Zinc is essential to keeping the oil-secreting glands attached to our hair follicles in tip top condition. We need around 15-30mg of zinc per day and you can get your daily dose by eating foods such as pumpkin seeds, lentils, nuts, legumes, shrimp, oysters, eggs and wholegrains. Zinc is great for overall health too as it’s a wonderful antioxidant. Sally-Ann also recommends consulting an expert to get a diagnosis. “A trichologist can help you determine the cause and set you on the right track to regaining your hair,” she says.